You just need to bring your water bottle and a towel. Octofit and mats will be provided. Come have some fun and get a great workout in with Mandy and the Octofit team. Follow the link to sign up for class! See you there! Get Fit. Get Fierce. 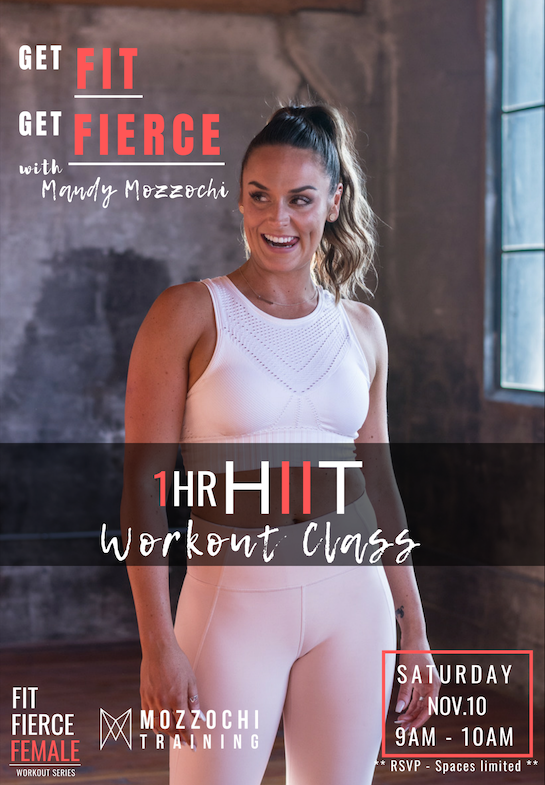 All women welcome to this Free Hiit Workout Class, November 10th at 9:00 AM. We will be raffling off AMPD Women’s Supplements and a 1 Month of Online Training. Water Bottle, Yoga Mat and a Towel. Follow the link to register for class.